Magic to the Bone by Devon Monk. This is the first in a series set in Portland Oregon. I purchased the book when I was in Powell's in Portland. I really liked the story so now I need to read the rest of the series. Heart Secret by Robin D. Owens. This is one of my favorite series and this story was a good addition. Slower to start than some but that just added to the enjoyment. A Duchess to Remember by Christina Brooke. A Ministry of Marriage Novel Lady Cecily's story is an enjoyable addition to the series. Heiress Without a Cause by Sarah Ramsey - The first in the Muses of Mayfair series this one was offered free. I really enjoyed the book and after I finished it I purchased the second book. A Fatal Winter by G.M. Malliet - The second in the Max Tudor series. This one has a faster pace than the first book. The series is shaping up nicely. "You Belong to me," The Vampire said. "Soon you will understand that your are meant to be my bride." This is not what I expected from the opening sentence in the new Harmony book The Lost Night by Jayne Castle. It really made me wonder what was going on. I soon found out. I know it should be a current read but since I have finished the book and loved it I wanted to share the opening. his girlfriend has left him and his nightmares keep him from sleeping. share a secret she’s kept for over twenty-six years . . . He doesn’t remember his life before he was adopted at age seven. Now the foundation on which he built his world is crumbling. The life he doesn’t remember is lost somewhere and his brother left behind. Jason embarks on a quest to find the truths buried deep in his past. As he searches, one by one the pieces of his life fall like dominoes. There are a lot surprises Phoenix. For a start there are the characters. Many or maybe I should say most of them are not what they seem. I confess the big character surprise near the end was really a surprise to me. If there was any foreshadowing about who was who I missed it. Alone with the surprises I also liked the fact that the characters grew and changed as the story progressed. Phoenix is set in the world of the firefighter and the author really did her homework on fire fighting and the life a firefighter lives. These is a lot of information about the life style and fire fighting methods mixed in the story. It adds an interesting element to the book. What started out as something that should have been a simple quest for information kept getting more and more complex. To use an overused phrase “the plot thickened”. Each new development kept my interest and lead to even more complications. I was kept guessing throughout the book. I think A.J. Scudiere has written a winner with Phoenix. Griffin Inc published Phoenix by A. J. Scudiere in 2012. I recieved an eARC of Phoenix from Netgalley. I have several books on pre-order from Amazon. 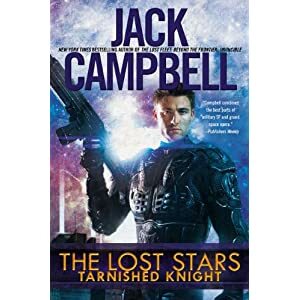 The Lost Stars: Tarnished Knight by Jack Campbell is due to be released October 2, 2012. This is a spin off of the Lost Fleet Series and I am eager to see how it holds up story wise. The authority of the Syndicate Worlds’ government is crumbling. Civil war and rebellion are breaking out in many star systems despite the Syndic government’s brutal attempts to suppress disorder. Midway is one of those star systems, and leaders there must decide whether to remain loyal to the old order or fight for something new. "Once again, I was late and I knew my boss was going to have kittens because of it. No, I was the one who turned into a furry feline once a month." As she begins to accept her destiny and believe in her growing powers, Trinity realizes the danger is even closer to home than she ever imagined—and she and Gordon are going to have to face the demon in a fight to the death. Follow this link from Reading Reality to read a full review and a interview with the author. I have several hobbies outside of reading. I love to garden. This year with the drouth it has been a bit of a struggle. I play bridge at least once a week. I also love to travel and since I am retired I do quite a bit. I just got home from a month long trip that included a Alaska cruise. I hike and swim. 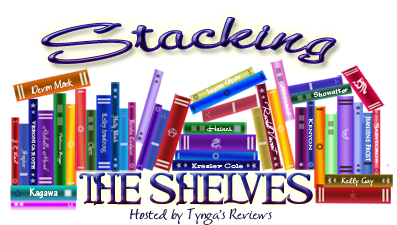 Books are all I collect. When I retired I downsized so I don't have as much room as I used to. On the plus side that means I don't have as much to clean. "Ananna of the Tanarau is the eldest daughter of a highly-ranked family in the loose assortment of cutthroats and thieves in the Pirate's Confederation. When she runs away from the marriage her parents have arranged for her, they hire Naji the assassin to murder her. Follow Ananna and Naji as they sail across the globe, visiting such mysterious places as the Court of Salt and Waves, in their desperate effort to lift the curse. Soon they will discover that only by completing three impossible tasks will they be able to set themselves free." Characters: The two main characters in The Assassin's Curse are Ananna and Naji. Both have their problems and the problems define who they are. Both are well-developed although I found Ananna is the better developed of the two. Naji is just to uptight and as a result does not give off the clues that Ananna does. I loved how independent Ananna is and how Naji just does not always get her. 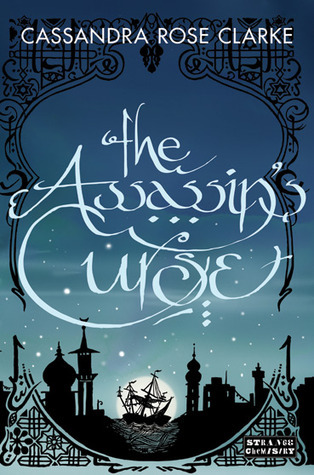 I received a free ARC of The Assassin’s Curse from NetGalley. The release date for The Assassin's Curse is October 2, 2012. My Scandalous Viscount is another story with spies at the center. This is book #5 in The Inferno Club series and winds up one arc of this story. 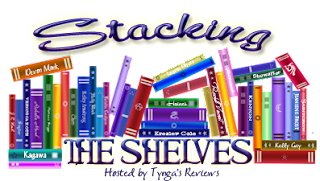 Gaelen Foley does plan further stories using characters that were introduced in the first five books. I received an ARC of My Scandalous Viscount from Edelweiss and did not realize that it was a part of a series I had not read until I started reading. The book can stand-alone but I know I missed things and many of the hints about the back-story did not make much sense to me. My Scandalous Viscount is about honor, honesty, and friendship. It is also about how the choices you make influence how others see you. Although Sebastian, Viscount Beauchamp lives by a code of honor, he has no time for anything but casual flings with women. That honor is what leads him to marry Carissa. Her quest to be in the know is the main driving force in My Scandalous Viscount. It leads her into more than one dangerous situation and into marriage to Sebastian. . For a historical romance Carissa is a very modern woman. Sebastian is a very traditional male so the marriage between the two is filled with all the problems this brings. All of this is written into the story in a very humorous way. Part of the time I found Carissa to be a train wreck waiting to happen. But in the end her information is what saves the day. If you need a quick fun read pick up My Scandalous Viscount. 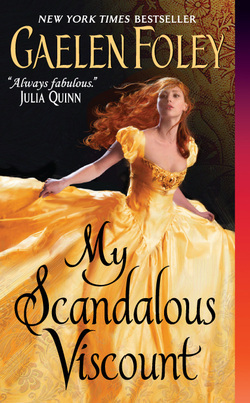 Avon published My Scandalous Viscount by Gaelen Foley in 2012. "Why wouldn't you grant my wish?" asked the princess. "What good will this do me?" Read the story to find out what a modern day princess finds out about her prince. that lets me share the books I get during a week. I am traveling this week and leaving on an Alaska cruise tomorrow so this is a short post. I visited Powell’s Book Store in Portland, OR Monday and purchased one book. Magic to the Bone by Devon Monk. I got this one because it is the first in a series set in Portland. I visited The Mystery Books Store in Seattle, WA on Thursday and purchased three books. Vanished, A Greywalker Novel by Kat Richardson – This is set in Seattle and is the fourth in the series. The book is autographed. 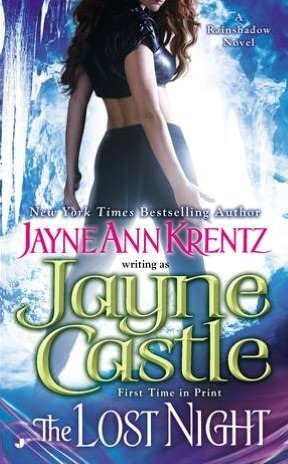 The Lost Night by Jayne Castle, Autographed Copy, - I get her newsletter and she often mentions signing books here so I had to visit. Murphy’s Law by Rhys Bowen – This was on the first book in a series shelf. I have read her other series so wanted to try this one. This was a used copy. "Excerpt from Trevor Vaquero's "Tales of my Father" Archive - I don't remember my dad as anything more than a giant shadow with a rough beard, a ready smile, and a warm hug." Penelope swore off men after her husband disappeared. She’s been busy enough running the ranch, raising her son, and fending off pushy suitors eager to get their hands on her and her herd. But something about this war-weary drifter stirs forgotten feelings in her, even as sabotage, rustlers, and a space stampede threaten to tear Ithaca apart!Spin the Sky is an rollicking, high-spirited riff on a certain classic odyssey—featuring characters as big and full of surprises as Space itself! My teaser is from Blue Nebula by Diane Dooley. "Things had become complicated. She should've killed Javan once he'd served his purpose but she'd been unable to harm him." This is book 2 in the Blue Universe series. I have been waiting for this to come out and jumped on it when Netgalley offered an ARC. Read Blue Galaxy first to see what came before. Sola de la Vega is on a mission to save the galaxy, and nothing will sway her. Not even the pleas of her beloved husband, Captain Javan Rhodes, to keep herself and their unborn child safe. Fitted with a series of technological "enhancements" entwined with her central nervous system, Sola is not fully human. Her father is the undisputed leader of Earth, and Sola is driven to put an end to his genocidal rule—before he can follow through with his plans to consolidate power over the universe into the hands of the aristocracy. Have you ever considered writing a book before? What genre would you write? 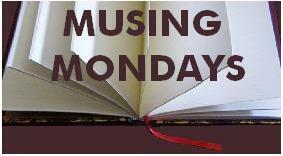 This week’s musing –courtesy of http://bookshelf.shotgunopera.net– asks…I wonder how many of us will answer yes? I have tried my hand at writing but have failed at one of the primary rules (This is one I heard Kevin Anderson and his wife state. You have to finish the book to have a chance at publication. It seems she kept starting but not finishing her books.) I have several that I have started but never finished. Some are romances that I started writing in my 20's. Some are children's books I started when my sons were young. 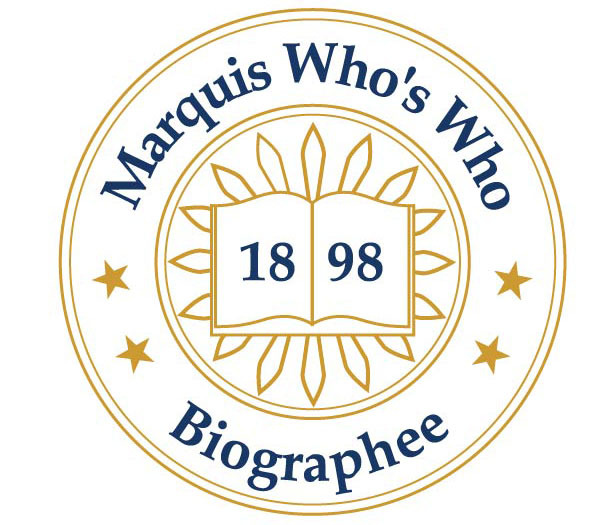 The most recent are books I started after I retired. 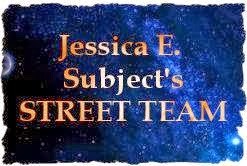 They are Science Fiction and Science Fiction Romances that I never finished. In between my 20's and retirement I taught in college and wrote for publish or perish. I don't miss that kind of writing. Today when I get the urge to write I just go the Helium, find a title I like or submit one, and write something short that I will finish. The reason I never finished. I will be writing and then a book or series of books will come up that I want to read and I would rather read than write. Then I don't write for quite awhile and it is hard to start again. Another reason I never have finished. I love to travel and writing and traveling just did not go together. In fact right now I am on a trip and am writing this in my hotel room in Portland, OR. I am staying at the Aloft at the Portland Airport. I stopped here so I could visit Powell's Book Store and later today I will be off to see what book treasures I have missed and need to add to my already hugh library. Check my travel blog Jo Jones Traveling Lady tomorrow for my post of where and what I went to see today. In the end I have decided that there are readers and writers and I am a reader. There is a place for both in this world. A Scandalous Affair is book three in Karen Erickson’s Merry Widows series. I haven’t read either of the first two but if they are as good as this one I have been missing out. The book is not that long, more novellas length but it tells a complete story. Daphne, Lady Pomeroy has been a widow for two years. Her husband was much older and while she had a good relationship with him there was no passion. As a result Daphne is not sure she needs another husband. Everyone thinks The Marquess of Hartwell is cold and calculating. The truth is that he is shy and has a stutter so he just does not talk of go out in society much. After spending two years in the country Daphne has come to London and is living with her brother. The two hold a masquerade ball and Daphne and Hartwell meet. The story develops from there. I loved both of the main characters. Hartwell is wonderful. Daphne recognizes something in Hartwell that everyone else misses. This is the kind of love story that tugs at the heart. Two people who are made for each other but there are problems to be overcome for everything to work. Carina Press published A Scandalous Affair by Karen Erickson in 2012. I got an ARC of A Scandalous Affair from Netgalley.